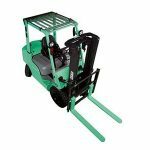 The ECO Mobicon is aimed at a market looking for even more savings than are provided currently by the already economical 2T when compared with traditional Forklifts. 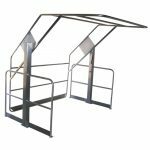 With the onset of the new financial year, it is time for companies to get their warehouses organised and made safer for employees. The c-chain finds application in handling systems, filling and removal devices, feeders, pick and place through linked systems and portals. A clay based desiccant manufactured by Australian Warehouse Solutions is helping protect container shipments against moisture problems. 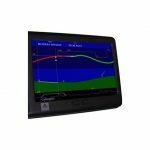 New Zealand’s national rail operator, KiwiRail, has joined forces with TTG Transportation Technology to cut energy consumption and environmental emissions, while managing on-time running of trains. 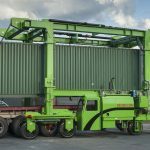 The Combilift Straddle Carrier is a cost effective and flexible container handling solution. MLA Holdings has introduced the Mitsubishi Grendia for greater benefits to the planet, and the operator and the employer. 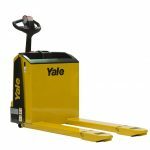 Yale has launched new pedestrian pallet trucks design to offer greater comfort and ease of operation. 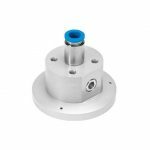 FESTO’S low-contact suction gripper OGGB is an alternative to suction cups for handling highly sensitive solar cells and other fragile work pieces. 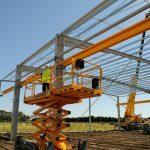 Every warehouse, distribution centre and factory has a number of risks and hazards it must overcome in order to maintain the safety of its employees. 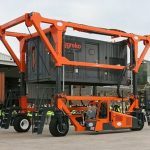 Haulotte Group has updated it scissor lift to suit its external maintenance, electrical, plumbing and painting industries.